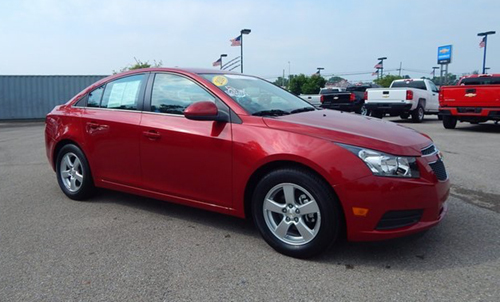 This gently used car comes backed with a GM Certified Warranty, with only 3,825 miles. It’s essentially a brand new vehicle! As a bargain hunter, I appreciate the nearly $7,000 in savings by purchasing a pre-owned Cruze versus a 2016 model with similar trim level. You can’t beat the value and safety features of this warranty combined with Chevy’s OnStar emergency communication system and overhead airbag. Enjoy cruising to your favorite music with a 6 speaker audio system and SiriusXM satellite radio.